Most of these are really slow at peak times. Some like GPForums, Kotaku, BBC and Mercury always seem sluggish. When going to some of these URLs, browser sometimes spends a lot of time in what seems like a DNS lookup. I've also seen Firefox waiting for a long time from sites such ajax.googleapis.com. I've got a ticket logged with the Spark ADSL helpdesk but haven't heard anything yet. Thanks guys - some good info here. I hope to have something to report tomorrow by midday. No guarantees though. This is principally a data gathering exercise to support some improved long term decisions. Not exactly popular, but www.cybernations.net has been experiencing relatively slow loading times up till the past two weeks, for what content they have (it's a browser-based text game). stream from them consistantly if the videos even load at all. See this thread for plenty of troubleshooting details. I also have issues to gpforums.co.nz in the evenings which is hosted on AWS Australia. Like above, it seems like its having difficulties resolving DNS - as once it responds then it often loads fine or just has some broken images which are hosted on other domain names. There is an update actually. A small change has been made which might improve things a little for some users. If anyone who previously had trouble with twitch.tv or cnn, or bbc etc could try now please and report back, that would help. We haven't cured world hunger, so there may still be some issues, but I suspect that some users will have received a boost in performance for some sites. So far so good, Twitch is working pretty well at the moment and all the other problematic sites are loading as well. Might need a few more days (especially over the weekend) to test it out more thoroughly. 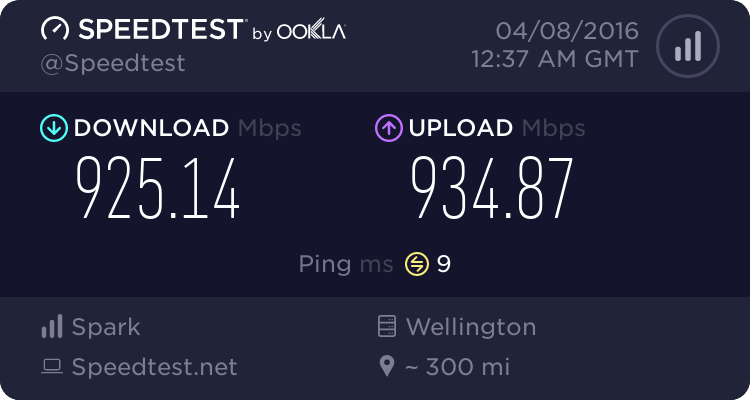 Huge improvement for me streaming Twitch as well - can load multiple streams at Source quality with no buffering. Very anecdotal but general web browsing (both national and international) seems faster too (in terms of time to load and display pages). This feels like the connection I had 4-6 weeks ago before the issue(s) started. It's looking better to me. Very noticeable improvement on www.cybernations.net (issues reported as per previous post) - to the level of normal browsing (vs 8-10s+ loading per page). Twitch is also noticeably smoother, the buffering that does happen now only happens for a second or two max (compared to the previous experience of it freezing on buffering) on 'Source' quality off http://www.twitch.tv/riotgames (720p stream). Is anyone else noticing it's still better today? Looks vastly better to me. Everything working well for me all weekend.